Should I Do Mold Remediation? What seemed like a nightmare began in June of 2010, my son was having trouble walking, swollen knees and ankles, very tired, and generally not feeling well. He was Lyme Disease positive and put on 28 days of antibiotics. At the end of that first 28 days, he was worse than when he started the antibiotics… so the family physician put him on Prednisone to help with the swollen joints and pain. On day 3 of Prednisone, the seizures began. I can’t remember all the combo antibiotics he was on… treating Babesia, Bartonella, and Lyme… and he continued to go downhill. He didn’t herx. He just got worse. His LLMD said he has to go on IV, the orals just are not working. He got a picc line. IV rocephin… his WBC dove down. That’s when I noticed over the whole treatment period, his WBC had been dipping and his liver enzymes had been climbing. 45 days on the picc line his WBC was 0.8 – we pulled the picc line just before Christmas. I felt that doing the HPU protocol – which we modified and blended with the other heavy metal detoxes on this page- keeping in mind that the end goal is to rid the body of toxic metals and allow the essential minerals to settle into the jobs they were meant to do — Riddding the body of heavy metals was KEY to healing from Lyme, coinfections and even helped in healing from mold illness – although getting a clean environment is VERY important too. Next, Dr. Klinghardt says, prepare to get worse before you get better. Getting toxins out can feel just as bad as getting toxins in. They have to come out some way – gentle chelation, done in a safe way so we don’t injure the brain any more than it already has been hurt. Heavy metal poisoning can cause traumatic brain injury. You have to be very careful not to make it worse permanently by going to fast with detox and redistributing metals into the brain. That is scary. We may get worse? Ugh. How can anyone get worse when you are already so sick! Practically every treatment warns of getting worse before getting better. Treating HPU was no different. What a horrible way to heal. We used the Coca Pulse Test to distinguish between a herx and an allergy. A herx is a temporary reaction to a treatment – where you will feel better on the other side of the pain. An allergy is an unpleasant bout of inflammation and/or stress on your system that can raise your heart rate. Sometimes, it is difficult to tell allergy from herx reaction – the coca pulse test can help with that. I was really helped by changing my thinking to knowing that on the other side of pain is healing. The body having pain from treatment is then easier to go through. Pain is terrible though. Best not to have any!! Get the heavy metals OUT! We did hair testing to check for levels of toxic metals and levels of essential minerals. Toxic metals were very high while essential minerals were very low – which helped us confirm we needed to treat HPU. The toxic metals are making the body toxic and pushing the essential minerals out of the cells making it impossible for the body to work properly. HPU is a major factor in people not getting well from chronic disease. HPU is heavy metal poisoning and it can be treated effectively with natural supplements. 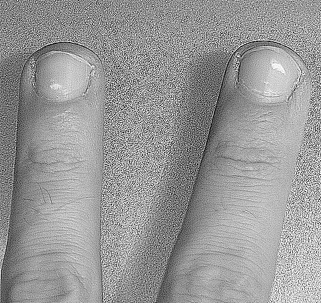 We could not find a doctor to help us with the actual process of getting the metals out, so I continued to research. The right amount for most people is about 40-50mg elemental zinc a day. More at the beginning up to around 60-80mg of zinc a day. So that’s up to ~8 capsules of Core at first and then ~4 for maintenance. I personally would never do more than this without being closely monitored by your doctor and a heavy detoxification program in place. I did 200+ for a long time and it was one of the most difficult times of my recovery. Many other people have really struggled with KPU at high doses and I personally don’t feel like it is necessary to push that hard and fast as it isn’t easy.All zinc dosages in the US are elemental. So if you get 50mg Zinc Picolinate, that’s 50mg of elemental zinc. If you get 25mg of Zinc gluconate, that’s 25mg of elemental zinc. In Europe, they label differently, but in the US, they list the elemental zinc regardless of which salt is used. Dr. Klinghardt recommends Core by Biopure – we took the ingredients in that supplement and broke them down to individual supplements and bought the most pure supplements we could afford. I look for veggie caps and as few fillers as I can find. I use vitacost, amazon and iherb – and sometimes I use other sources I have access to. We did not do IV chelation because there is too much out there about the dangers DMPS by IV and my biggest concern was that I did not want to harm our brains. When detoxing heavy metals, mobilizing mercury and other extremely toxic substances that are IN YOUR BODY, you want to make sure it is leaving the body, not redistributing to the brain. Slow, oral chelation, is not risk free either. That is why I read so many sources before I started any protocol. I believe the one we chose was effective and safe. We used the book, Amalgam Illness to set up this plan. If you are going to attempt it, read the book, or work with someone who has read the book who can help you with the details. We started with low doses of DMSA – did a round, then upped the dose in the next round if there were no reactions during the 4-5 day round. If there is anything uncomfortable going on during a round, the next round stays at the same dosage or backs down. It is tedious because you must wake up every 3 hours during the night to take pills. The gains are worth the difficulty! We saw heavy metal levels decreasing in overall body burden and major mental gains. The brain fog was lifting after each round. Alpha Lipoic Acid (ALA) is found in a lot of over the counter supplements and in stand alone supplements. Alpha lipoic acid is unique in that it is both water- and fat-soluble; thus it can be used throughout the body. It is a strong chelator (binds to metals) and the only oral chelator known to cross the blood brain barrier. From my research, no one with heavy metals should take supplements with ALA until they are SURE they have detoxed the brain of heavy metals. This means doing AT LEAST a few rounds of round the clock (every 3 hours) ALA – before taking ALA as a once a day supplement. If you have any reactions taking supplements with ALA – it could be because you are heavy metal toxic, specifically, your brain is heavy metal toxic. Since the air we breathe has mercury and other cancer causing toxins – assume you have heavy metals unless you have actively detoxed them and/or done proper testing to make sure you are not heavy metal toxic. Some people tell me they had blood testing that showed they have no heavy metals – that’s hogwash and the doctor that suggested testing blood for body burden is mistaken. If you have heavy metals in your blood, you have an active poisoning going on. You are being exposed or were recently exposed to whatever toxin is in your blood. After an exposure, heavy metals tend to park themselves in the fat cells and the 2 fattiest organs – the brain and the liver. You won’t find past exposures in blood. IF you are able to detox heavy metals, you may be able to find a representation of body burden in the hair. Some of the sickest people are holding on to those metals and cannot detox them at all, their hair will be harder to read. It may show very little heavy metals until detoxing agents are applied. I have seen autistic children test hair and almost not treat heavy metals because the amount found in the hair is so low – they do a couple of rounds of oral chelation – test again and the hair is loaded! If you have trouble reading your hair test, you can contact me, join one of the support groups for oral chelation that are in this blog, or read the book: Hair Test Interpretation: Finding Hidden Toxicities. When DMSA has been used in enough chelation rounds (as outlined above) and the body is somewhat cleared of the heavy metal burden, it is okay to start using ALA in around the clock oral chelation rounds. On days when doing the round the clock rounds of pills, every 3 hours – I would put the pills in pill boxes with times labeling each individual pill box. I would set my alarm on my phone for every 3 hours – and take the pill immediately when the alarm goes off. It is VERY easy to forget if you have taken a dose. Especially if you are very metal toxic – the oral chelation rounds can make you even more forgetful than you were before – and for me that was a major handicap. We would take Niacin 2-3 hours before we got in the infrared sauna and we would sweat for 60-90 minutes in the sauna. If it took 15-30 minutes to start sweating we would stay in for an hour or more after the initial sweating. Sauna has been very helpful in getting well. If you are going to use a sauna, it is important that you replenish essential minerals and eat whole foods with plenty of nutrients. Most food is depleted of nutrients so please be responsible with making sure your body has what it needs to thrive and be healthy. The book Clear Body Clear Mind and the research of Simon Yu support sauna detox and give lots of great info for getting well using the sauna to sweat out the toxins and high doses of vitamins and minerals to replenish what is lost when you sweat. We used binders like activated charcoal, bamboo charcoal, bentonite clay, zeolite, chlorella, diatomaceous earth — these need to be taken away from food and supplements so they don’t absorb nutrients the body needs. Bedtime is a good time to take binders if you are not taking other supplements at bedtime. Binders bind! If someone is not pooping regularly and they add a binder, they may have a bigger problem than before. A couple of natural things that can make poop move – magnesium oxide and vitamin c. Neither are toxic – so take them until poop is moving regularly. Regular cycle is at least once per day. Some say 3 times a day – but I find that inconvenient. Once in the morning… every morning… is enough. If you are not moving your bowels – or if you are not peeing – do not start any oral chelation protocol until you are getting toxins out through pee and poop. When I say “we” did chelation – my son and I were both mercury toxic and we did out treatments at the same time. 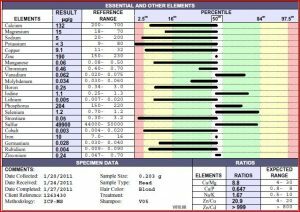 We treated HPU from January 2012 to April 2012 – in April, we did a hair test on my son that showed his toxic metals were almost at zero and his essential minerals were in the normal range. He was still throwing up, having seizures and very sick. That’s when I started looking for other things that could be keeping him sick. We found toxic mold… my son was 100% well 4 months after we moved out of our home that was full of toxic mold. Could he have gotten well so quickly if we had not already treated the toxic metals? I don’t think so. I do think the toxic metals have to get out of the body to let the body release these other toxins (mold, Lyme, other infections). The Liver is Connected to the Teeth? This entry was posted in Health on October 13, 2017 by Heather Plude. Janet, The closest I know of is Dr. Ou in Atlanta, Georgia, Bridges of Health! Enjoy the health your family deserves… We finally discovered why We were sick And then we miraculously got well. Perils and Problems with Dirty Electricity Filters: What to be Aware of!